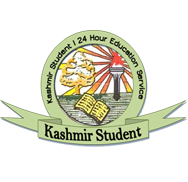 The Jammu and Kashmir State Board of School Education (BOSE) has introduced Value Point System (VPS) for evaluation of answer sheets, and plans to introduce various new subjects at the higher secondary level. According to board officials, the VPS has been started to do away with the traditional way of evaluating the answer sheets submitted by the students. The VPS system, according to the officials, will ensure that the student scores maximum marks during the exams. “The VPS system is a scientific and approved way of evaluation as it ensures that the student gets maximum marks for the answers he or she provides in the answer sheets. The new pattern will ensure that the student who answers a theoretical question more accurately will get maximum marks for his efforts,” BOSE Chairman, Dr. Sheikh Bashir said. The BOSE Chairman said that the VPS system has been introduced for evaluation for the just concluded class tenth examination. Dr. Sheikh Bashir said that the examiners evaluating the answer sheets have been made more accountable under the system as they will be answerable if they allot fewer marks to any candidate. Dr. Bashir said that BOSE is making all efforts to ensure maximum benefit for the student’s community and as such the three series system for formulating the question papers was formulated. “Under the three series system it has been ensured that the menace of copying in the examination is reduced to a bare minimum,” he said, adding that the students appearing in the examination get different series of papers and they cannot in any way copy from one another. “Besides, we have started to provide additional fifteen minutes to the students to ensure that they go through their question papers before answering them. The chairman said that the BOSE is planning to introduce five more additional subjects at the higher secondary level so that the students are able to get a varied choice at the graduate level. “From the next academic session we plan to start various new courses for which all the necessary ground work has already been completed,” he added. 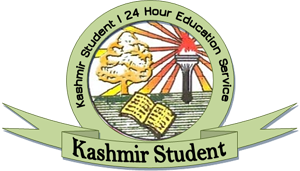 Dr. Sheikh Bashir said that the board has already issued instructions to various other agencies to ensure timely and regular academic inspection of various educational institutions and ensure that all the facilities are provided to the students that the institution has otherwise promised to offer. “We have already started the process and 39 educational institutions in the state have been issued notice for de-affiliation if they fail to provide all the basic amenities to the students,” the Chairman said. He said that Bose stands by its commitment to ensure that the results of all the classes are declared in a record time and highest standards of transparency are maintained to ensure fair and free results. “We have received appreciation from officials of the CBSE who were here to interact with us to ensure that quality education is provided to the students everywhere,” the chairman added. Promising that various plans are afoot to curb the menace of corruption in the organization, the Chairman said that this year a record number of cases using unfair means were registered during the class tenth examination. “This year we ensured that teams from directorate of school education also visit the examination halls during exams and ensure free and fair exams. Our alertness has resulted in ensuring that the corrupt practices were brought to a much lower level,” Dr Bashir said.